(Natural News) Water pollution is a serious problem in many parts of the world. It’s particularly dangerous in places where toxic chemicals such as arsenic can be found as contaminants, thereby, putting the lives of people living in the area at great risk of arsenic poisoning. Now, a team of researchers has discovered a new and environmentally friendly way of dealing with this problem, and it involves the use of moss. Aquatic moss is typically unremarkable, but it holds the key to a new method of dealing with arsenic contamination in certain bodies of water located in northern Sweden. A group of researchers has found that the aquatic moss Warnstofia fluitans has the innate ability to quickly absorb as well as adsorb arsenic directly from water. What’s more, the process happens so quickly that it can have an immediate impact on the water system. The researchers, who hail from Sweden’s Stockholm University, said that the aquatic moss is capable of removing arsenic from bodies of water quite easily. They said that in just about an hour, the moss was able to bring down the level of arsenic in water to the point that it isn’t harmful for people to drink anymore. The details of the study conducted by the researchers were shared recently in the journal Environmental Pollution. Meanwhile, Maria Greger, an associate professor at the Department of Ecology, Environment and Plant Sciences at Stockholm University and the leader of the research team, said that the problem of arsenic contamination is something that needs to be dealt with at the source. After all, the amount of arsenic in water sources, for example, determines how much eventually makes its way into people’s homes. “How much arsenic we consume ultimately depends on how much of these foods we eat, as well as how and where they were grown,” she said, referring to certain types of foods that typically absorb arsenic from soil and water. The fact of the matter is that arsenic occurs naturally in the ground and bedrock, particularly in certain parts of Sweden, and so it can hardly be avoided. It affects certain kinds of leafy greens, root vegetables, wheat, and more. At best, it can only be minimized, in this case. 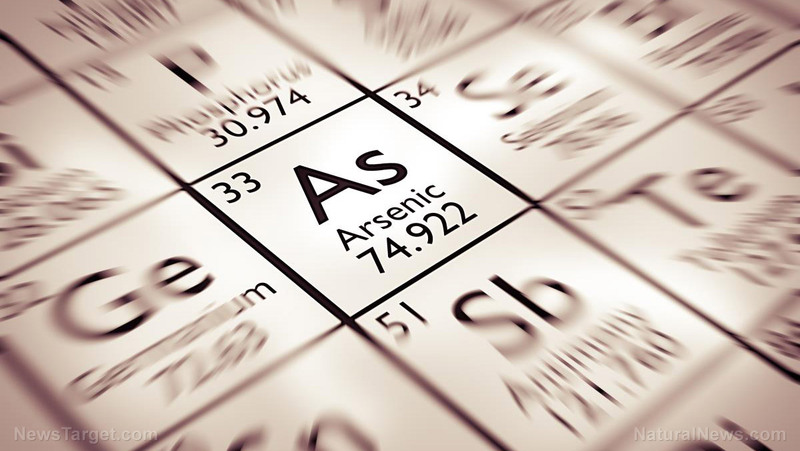 For now, conventional methods of treating arsenic poisoning should still be pertinent. But if this new research yields successful results, it could mean the end of arsenic poisoning at some point in the future. Read more about problems involving toxic water in WaterWars.news.